20 years of experience protecting our clients. 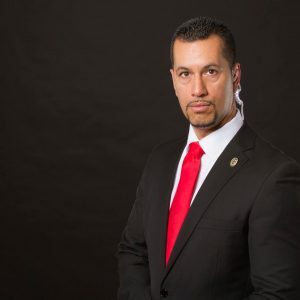 Jaime Salanga founded DRAKEN Security in 2009 with the goal of providing quality security services with his unique vision and approach to the industry. Prior to starting DRAKEN Security, Jaime provided close protection for several high-profile clients in various industries. After careful contemplation, Jaime wanted to develop a culture of excellence and accountability where DRAKEN agents and employees would set the highest of standards. This dedication to personal pride, excellence, and loyalty has allowed DRAKEN to meet and exceed client expectations. 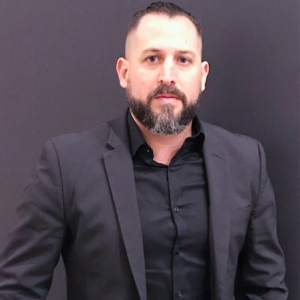 For several years before DRAKEN was founded, Jaime was a college instructor in the subject matters of Criminal Justice, primarily teaching and lecturing students on the current and historical themes of terrorism and international espionage. Jaime acquired knowledge of these fields when he was operational in the FBI. Jaime is frequently called to be a subject matter expert in the media for celebrity security, terrorism, and intelligence. Jaime maintain his secret clearance with the United States. 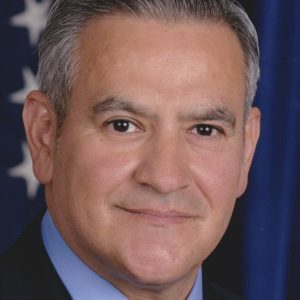 Salvador “Sal” Valdez spent 26 years as an FBI Special Agent. He served as Assistant Special Agent-in-Charge of the Intelligence Division of the Los Angeles Field Office of the FBI. Sal was an integral part of transforming the FBI into an intelligence-driven organization. Prior to his retirement from the FBI, Sal worked Cyber National Security intrusion matters in the San Diego FBI Field Office and is GIAC certified in Cyber Security. He investigated computer crimes spanning the globe including: denial-of-service attacks, corporate breaches and state-sponsored intrusions. His skills and experience were critical to the indictment of state-security operatives hacking intellectual property of a US-based turbine company. Sal is an expert on economic espionage and theft of or misappropriation of proprietary/trade secrets. Sal was the Supervisory Special Agent in the FBI’s landmark Chi Mak espionage investigation and Greg Chung economic espionage case. His services have been requested as an expert witness in ongoing National Security Matters. Sal served in many positions during his tenure at the FBI including: Assistant Special Agent-in-Charge of the Intelligence Program, Inspector-in-Place (FBI compliance team), Supervisory positions at FBI Headquarters in the International Terrorist Operations Section and Los Angeles Field Office Joint Terrorism Task Force and Counterintelligence Squads, temporary Assistant Legal Attache (Santiago, Chile), and as a Special Agent in Los Angeles and Puerto Rico assigned to investigate white collar, public corruption matters, and terrorism. In 2008 and 2009, Sal was awarded the Director of National Intelligence Meritorious Citation. In 2002, Sal received a Recognition Award for his leadership, guidance, and efforts during the terrorist events of 9/11, from The U.S. Attorney’s Office. At Draken, Sal expertise in physical and cyber security, incident response, threat assessment and risk mitigation, business continuity planning and private investigations offers assurance to clients that all of their security needs will be handled expeditiously and in a careful and prudent manner. Sal provides confidential guidance to top executives on the most sensitive security matters and teaches his clients best practices in risk governance and security principles. 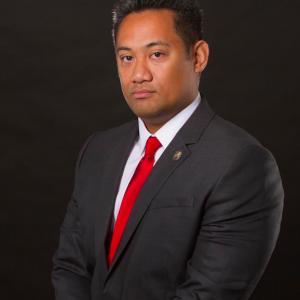 Before joining the FBI, Sal served proudly in the U.S. Army assigned to the 82nd Airborne Division, Ft Bragg, NC, and was a financial analyst for Hughes Aircraft Company, El Segundo, CA. Vincent started his career in the US Army with the 10th Mountain Division, spending most of his service there as a scout/sniper and being deployed to Southwest Asia and the Balkans in support of operations such as Desert Fox, Desert Fox, Task Force Eagle and Operation Joint Guard. He then spent the remainder of his military career with the 40th ID serving as the Operations NCO and Private Security Detail to various military officers and diplomats while deployed CONUS in support of Operation Noble Eagle. Once he ended his military career of eight years, he continued into his corporate security career as Director of Security for major hotels for over a decade, all the while providing executive protection for diplomats such as the Premiers of the PRC (People’s Republic of China) and Taiwan/TECO (Taipei Economic and Cultural Office) to name a few. Vincent has worked in liaison with the FBI, Secret Service and Department of State DSS. In 2013 he joined the Draken team as the Director of Training and has supported the team eventually being promoted to Vice President. Vincent brings a wide range of expertise and specializes in operations, management and training of Draken Security staff depending on our clients needs. Jason was raised in a strict Indonesian upbringing. Trained in Indonesian martial arts known as Pencak Silat as a child. Jason was a field supervisor for California Port Security working with Coast Guard, LAPD Port for the major cruise lines. Additionally, Jason worked in the music and television industry with some of the heavy hitters and big names in the field. After building years of IMDB credits, Jason went into the Executive Protection field and ended up working for some of the people he had worked with in the industry, such as Nicki Minaj, Randy Jackson, Quincy Jones, the Paul Mitchell family, and Terrence Howard to name a few. Since Jason had a background in the entertainment industry, he knew exactly what the client’s expectations were, as well as their odd hours of operation. Currently Jason is a Field Supervisor with Draken Security and manages several accounts ensuring that the quality of service is upheld with bravery and integrity. Jeremy started his career in the French Army with the 21st Infantry Regiment, where he learned the values of integrity, loyalty, professionalism and also many ways and tactics to face human crisis, especially in the African continent where he was deployed to maintain peace. Once he ended his military career, he started providing personal protection and others services for high profile clients around the world. He worked as an Executive Protection Officer in the Mideast, Europe, France, Italy, Germany, Spain, Portugal, Bulgaria, the UK and in Brazil. He was then recruited in Monaco, where he was in charge of a high-profile family’s security, domestically and abroad for four years. He then decided to move to the US and began working with Draken Security, bringing with him the knowledge and skills that he acquired throughout his past years internationally. Tyler began his military career in the United States Marine Corps with HMLA 775. After two years there he was able to make a lateral transfer to 4th Light Armored Reconnaissance Battalion where he served as an infantry scout for the next 4 years. During that time, he attained the rank of Sergeant and held various billets such as Range Safety Officer, Marksmanship Instructor, and MCMAP Instructor. While still enlisted, Tyler began training in Boxing, Muay Thai Kickboxing, and Brazilian Jiu Jitsu. When his military service ended, Tyler began training full time while working as the head of security at a local bar. He currently holds the rank of brown belt in Brazilian Jiu Jitsu and is an avid competitor and instructor. He is also an active MMA fighter and coaches middle school wrestling part time. Tyler joined the Draken team in 2017 as a detail leader and tactics expert. Tyler brings a wide range of expertise but specializes in unarmed hand to hand combat and De-escalation/Defensive tactics. Carlos started his career in retail loss prevention where he learned the essential factors on how to mitigate loss for his employers all the while providing a high level of customer service. 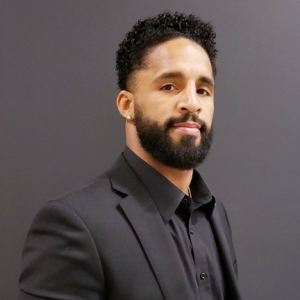 After leaving the loss prevention field Carlos began working in hospitality, providing security for several 5 Star and boutique hotels across greater Los Angeles. Carlos has worked at the management level at various properties where he’s led and developed large security departments. Carlos has played a key role in the inauguration of two large hotels in downtown Los Angeles. 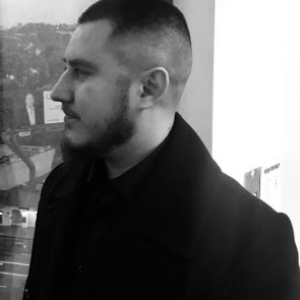 Aside from providing safety and security for said properties Carlos has also been cross trained in front office duties and methods in order to provide a high level of customer service. While working at these various properties Carlos has worked with third parties and law enforcement in order to execute large scale events as well as handle high profile clients and guest. He is also well versed in Cal OSHA standards and preventive measures. Carlos has also developed and administered safety incentive programs such as safety committees and enforce safety programs. Carlos has been with Draken since 2014 where he’s overseen multiple of our hospitality accounts. Jamie is an American professional welterweight fighter. After training full time in MMA, Jamie was called by Quinton Jackson‘s former MMA coach, Juanito Ibarra, about potentially appearing on BET’s “Iron Ring,” in 2008. Jamie accepted the offer, and when he arrived on the set he was chosen to fight on rapper T.I.’s team. Jamie made his pro debut for the BET television show, and fought Franz Mendez, winning the fight in the second round via knockout. Jamie was also a cast member on The Ultimate Fighter 11-Team Liddell vs Team Ortiz, and was placed on Tito Ortiz’s team. He picked up a TKO victory to move to the quarterfinals. All but one of the fights he has been in have been finished. Currently Jamie is a free agent but has fought for multiple top tier organizations such as UFC, Bellator, World Series of Fighting, & BET’s Iron Ring. Since his time with the UFC, he has compiled a 7-2 record and is currently the #23 ranked welterweight in the state of California. 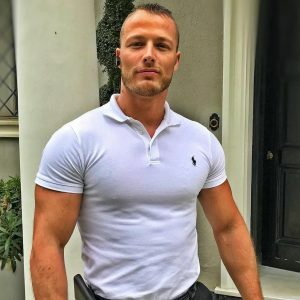 Jamie started his career in security management in the city of Los Angeles under the Draken team in the year 2014 and has served in various roles. Jamie has worked at the management level at various properties where he’s led and developed large security departments. Furthermore, Jamie has played a key role in acquiring and training security agents that have worked for Draken since 2016. 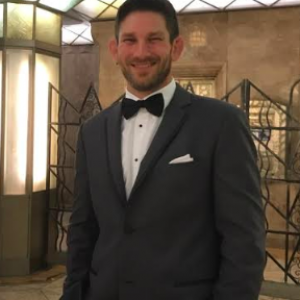 Being a professional fighter and developing a skillset in Executive Protection and Physical Security, Jamie has helped Draken management develop and train Draken Security agents in combatives specific to the Executive Protection and Corporate Security needs of protecting clients and assets, but limiting liability.